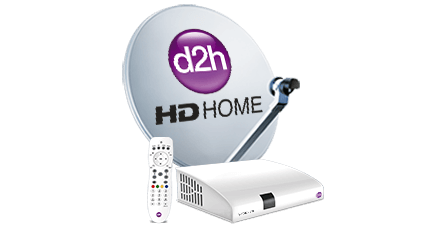 Mumbai, August 6th, 2013 : d2h has added further value to its product line with the launch of its new age HD DVR product. 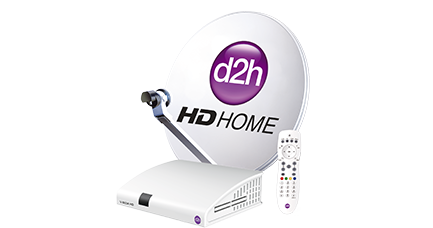 The product, which has an unprecedented capacity to record upto 1000 GB of content, was launched amongst much fanfare at the International Indian Film Academy (IIFA) awards held at Macau in July 2013. d2h raises the bar with this dynamic product, whose capacity of 1000 GB translates to an astonishing 1775 hours of recording approximately. The customers can now watch their favorite channels with pollution free Asli â€œHDâ€� signals and enjoy cleanest, freshest and clearest pictures. These pollution free Asli "" HD "" signals aim to end the times of hazy and unclear pictures and ambiguous sound quality and encourage the viewer to enhance their television viewing experience. d2h's High Definition Digital Video Recorder with 1000 GB memory space facilitates the feature of being able to "" Watch One and Record Two "" channels simultaneously along with other attributes like 5 times digital picture quality with an optimum resolution of 1080p, a wide aspect ratio of 16:9 the experience of which is further enhanced by High Definition Digital (HDD) sound. It also provides Auto Serial Recording. Mr. Saurabh Dhoot, Director - d2h group on this product said, ""We are thrilled to launch India's First High Definition Digital Video Recorder (HD DVR) with an unprecedented 1000 GB storage capacity. This new age lifestyle product will make our offering even more exciting for consumers who like to watch television content at their own convenience. This product provides greater value based on its advanced features, high quality performance and elegant design. The subscriber experience is set to be further enhanced and our assortment of products will spoil the customer for choice."" 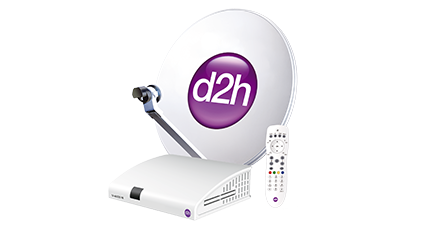 d2h provides 444 channels & services on its platform which includes 36 Asli ""HD"" channels & services along with wide ranging regional content to cater to the taste of varied audiences. Mr. Anil Khera, CEO d2h added , added ""Our new DVR's are equipped with advanced technology with a simple easy-to-use recording process. Along with its 1000 GB hard drive, this HD DVR also gives customers access to other recording features, including the ability to schedule or delete recordings and pause live TV. We believe that the consumers will take pleasure in the luxury of greater storage capacity and enjoy this new proposition from d2h.""